Thank you all for your great comments so far this month. Our store hours during September are Monday 10-5, Tuesday 9-7, Wednesday-Friday 9-5, Saturday 9-5. We will be closed on Sundays. Hope to see you during the month of September! Upcoming July 4th weekend-We’re catching our breath! We’ll be closed this Saturday July 2nd for the holiday weekend. 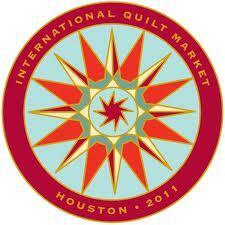 Both Quilt Mercantile and Quiltagious Quarters will be closed during this timeframe. We’ll re-open on July 5th and have our first Sit-N-Sew for July on Tuesday the 5th. We’ve been doing a ton of work to Quiltagious Quarters and we’ll have some new pictures up shortly. The Summer newsletter for Quilt Mercantile is finished and will be sent out by next week at the latest. Our new website for Quiltagious Quarters is in the ‘creative’ phase and we should have it done in the very near future. Thank you all for your kind comments and for taking the time to stop by and tour the retreat center! 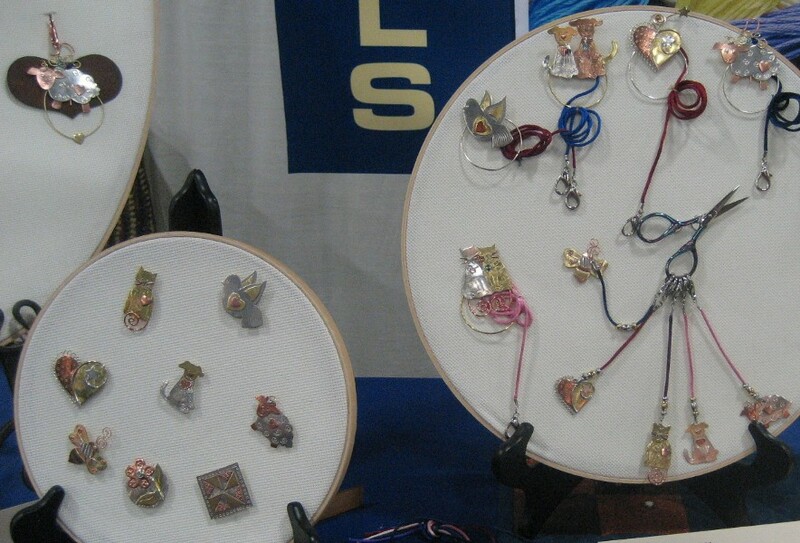 What a great time we had at Spring Quilt Market. This is the very first time Mom and I have traveled to Spring market. Salt Lake is a very beautiful place. We met many great vendors that usually don’t make the trip to Houston for Fall market so that was very nice and informative. Here are just a few great things we found: pilot’s new pen for marking that Alice Wilhoit told us to look for and bring home if at all possible (we grabbed a whole display), magnetic needle nanny which has several styles and is a really cool product, sulky’s new product that is wonderful for photo copying your embroidery designs to eliminate all that time spent tracing, new scents and a couple new products by Best Press are on order and will arrive soon, Sue Pelland’s ruler set for making lots of leaves or ribbon borders quickly is just awesome (we spoke to her quite a bit and are planning to have her come give a retreat), and of course lots and lots of great fabric finds. I would probably go on way to long if I listed all the wonderful things that caught our eyes. Several new fabric lines have arrived in our store. Finding the time to get pictures taken, edited, and posted on our website is becoming harder. The new Nancy Halvorsen Christmas and the Whimsical Christmas fabrics are so wonderful. We now have several bolts of the super heroes. I will send out an e-mail with more details so make sure your information is on file in our store! 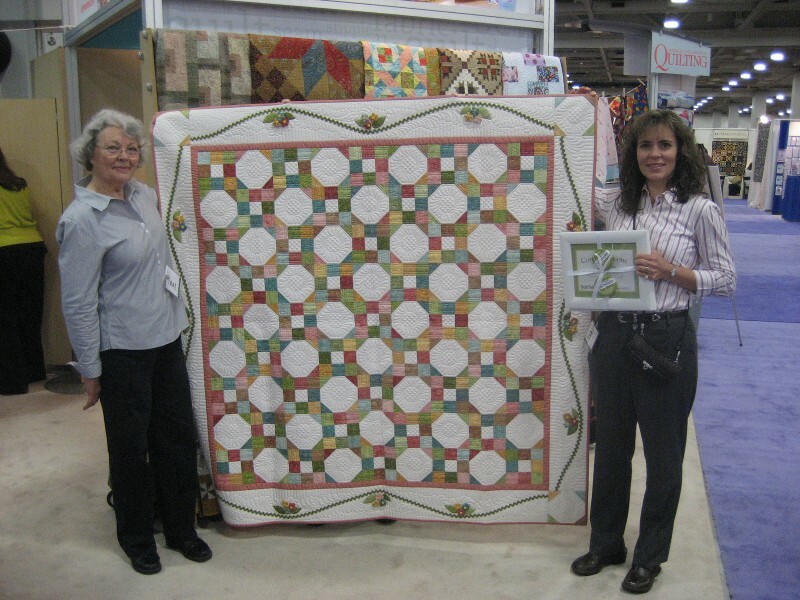 We were very excited to bring our “Fresh Air” quilt back home to Texas. Quilt Sampler magazine has had it since November! There was a fun presentation given for all of the Top Ten shops. It was nice to meet some of the other store owners and see all of the projects in person. 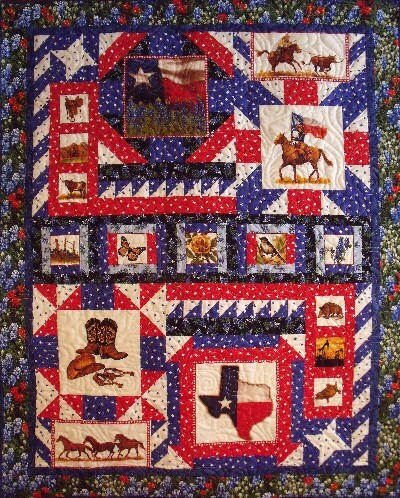 We appreciate so much the wonderful response we have had to our project in the Spring issue of Quilt Sampler. We are cutting kits and trying our best to keep up. 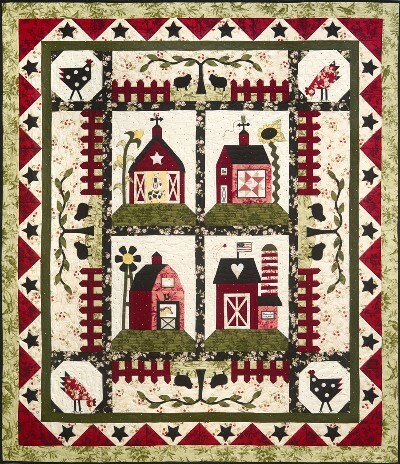 If you see something on one of the pages in our article that you are wanting, make sure to check our quilt kit section under shopping, e-mail, or call to see if we still have some in stock. We are doing our best to stay caught up with orders. That being said….I better get some rest. Our quilt is back in our hands!